What’s better than spending a Saturday drinking at your favorite Upstate brewery? Drinking at ALL of them! 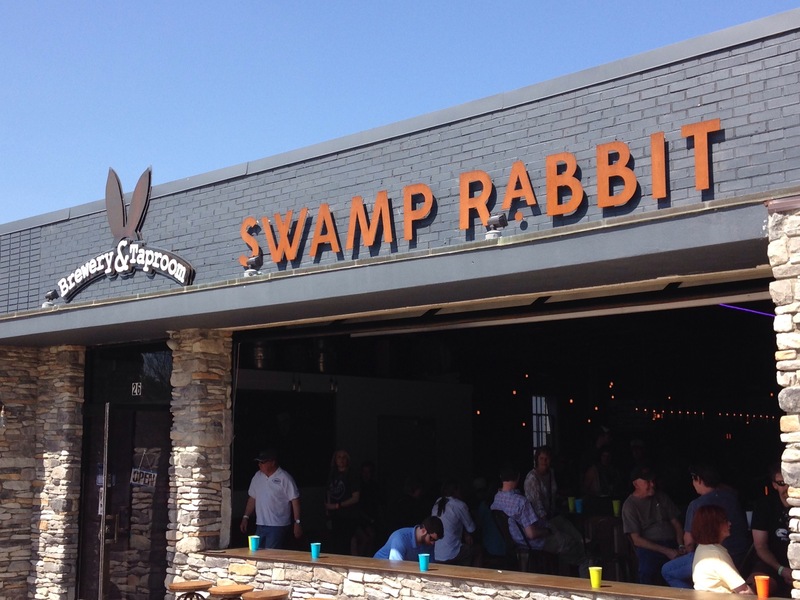 Swamp Rabbit Brewery in TR is hosting the first annual SC Upstate Septembrew festival to bring together Brewery 85, Thomas Creek, Quest, Blue Ridge and RJ Rockers, along with live music and food truck goodness. Grab your ticket now! 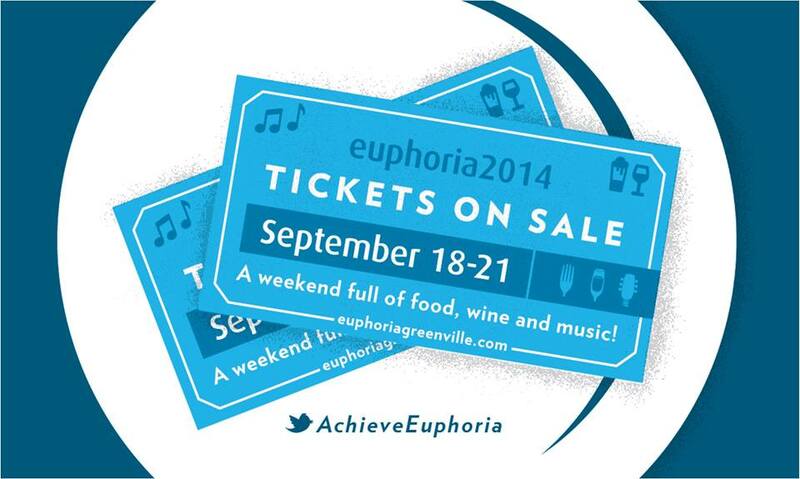 This popular annual event may often be summarized as a food & wine experience, but they also have a beer garden. Get a ticket for Saturday’s big Tasting Showcase to pair local and regional beers with fabulous foods. Saturday night also brings Traffic Jam, a food truck rodeo with plenty of beer and booze for all. I’ll be at this sold-out event in Brewery 85 shirt, so come say hi! Craving some craft but not ready to commit to an event? Then stop into a tasting room for a few pints and a tour. I’ll be pouring beer at Brewery 85 from noon-4, so come try the new Leon’s Lederhosen marzen (in short supply!) and Doubtfire ESB. I’m not a big fan of the beach. I don’t crave the feeling of warm sand between my toes. But a cold beer in hand? I’ll take one of those in any locale. I ventured down last Wednesday to partake in the tail end of Charleston Beer Week, seven days of booze documentaries, tap takeovers and coastal brew love. The last-minute efforts of the CHS Beer Week planners (THANK YOU, MIKE!) netted me a ticket to Cinnebarre for the CRAFT and Cultured Craft Beer documentaries. I settled in with Sweetwater’s Take Two Pils and high expectations for CRAFT, but this “behind-the-scenes look at [craft beer’s] trailblazers” left me hanging: it felt like a meagerly elevated “craft beer for dummies” string of shorts providing overviews of beer history, brewing and trends. Only a handful of brewers (fewer than a dozen?) were interviewed, all of which were from the US except for two Canadians and only one of which was a woman. This “beertastic voyage” lacked an overall focus, and just as each segment began to provide depth, the screen faded and a new topic began. Tony Tassarotti’s Cultured Craft Beer, on the other hand, successfully captured the talent and culture of Charleston beer in less than 30 minutes. The documentary had an overarching focus that brought together numerous interviews of brewmasters and bottle shop owners, a bit of beer history, brew law and an eye on the future. I welled up with South Carolina beer pride and “shout from the rooftops” enthusiasm I get for something I really believe in. After a restful night at the quiet Notso Hostel, I entertained myself with a drive around Mount Pleasant, lunch at Butcher & Bee, and a tour and tasting at High Wire Distilling. Distiller Nick Dowling was inviting and entertaining as he led a tasting and tour (only $5) for a Connecticut couple and me. It was exciting to compare distilling and brewing; did you know that the now one-year-old distillery has barrels from Full Steam Brewery? I’m delighted to have a new bottle of Woodford Reserve barrel-aged rum on my liquor shelf, and I’ll be picking up a bottle of the citrus-forward gin next time or the new bourbon that launches next month. With all of the CHS Beer Week events occurring at night, I was thankful Palmetto Brewery opened at 3 p.m. Beyond the large outdoor space and expansive murals, the brewery’s one-month-old tasting room boasted a gorgeous interior with cedar walls, a refurbished-wood bar (made from cattle cars!) and a glass “window” peaking into the neighboring coffee roaster. Yes, the smell of fresh beer and coffee was as intoxicating as you’re imagining, and the nitro Espresso Porter was my favorite of the beers I tried. Barb Falkenstein kept my glass full (try the AM Wood!) and my questions satisfied during my tour and tasting, and introduced me to Chris Winn, resident Brewery 85 fan and Beer Evangelist (best job title ever!). He treated me to the tale of Hootie’s Homegrown Ale went from an idea in Tampa to a collaboration between Cigar City and Palmetto. Chris also gave me the best suggestion of the trip when he pointed out that two of the night’s CHS Beer Week events were within walking distance of each other. Plans changed for the better. I swapped the cool, calm tasting room for the loud, cramped enthusiastic crowd of barrel-aged beer lovers at Closed For Business. Craft beer fans shouldn’t miss this restaurant and bar, which always boast an impressive but not overwhelming tap list. A generous stranger bought me a Founders KBS (amazing—can’t believe I waited this long to try it), and it was then that I spotted a familiar face from home: the illustrious Todd Hamrick of Anderson Valley Brewing Company, along with Stone’s Jason Selby and Coronado’s Johnny O. Each represented fantastic brews: Pinchy Jeek in Wild Turkey barrels, Reason Be Damned Belgian Abbey Ale in red wine barrels (the best red wine barrel-aged beer I’ve had) and Stupid Stout (creamy, bourbony, yum), respectively. Conversation ensued as beers swapped hands, and I look forward to seeing those lovely chaps at this fall’s big Greenville beer events. With Kudu and casks on my mind, I suspended my barrel-aged love momentarily and headed for dinner and more beer. Music and laughter wafted around the corner from Vanderhorst, where I found a Christmas-light-strung garden filled with eager beer drinkers. This event featured Kudu’s excellent craft beer line-up in addition to four local casks, and I started with Coast’s previously unreleased September Saison cask. I sat at table to take notes and watch as a variety of brewers gathered by the entrance. I dorked out. I stuttered. I try to be laid back and professional at all hours, but I literally forgot all words besides “cool,” “awesome” and “derp.” I can only hope she read between the lines and saw “your beers and business savvy and legislative work and brew culture-building make you the coolest person ever” in my starstruck gaze. We did eventually get around to a wee update on Coast: the tasting room work will resume by the year’s end, and a DHEC-approved kitchen is in the brewery’s new future (thank you, Stone Bill). In her wise words, Coast has been waiting seven years for these opportunities, and they can be patient for change. The leisurely theme continued with a morning exploring the Isle of Palms and Sullivan’s Island, where I stopped for my favorite food of the trip: lunch at The Obstinate Daughter (which has local craft beer on tap!) and gelato from Beardcat’s Sweet Shop. A love of arts and culture as much as beer, I spent a wandered the unique collection of the Charleston Museum. Did you know it’s the United States’ oldest museum? I was fascinated by the collection’s history: the important natural history and Egyptian artifacts gathered in the late 18th century are housed a few rooms from a gargantuan Civil War time and extensive Low Country collections. 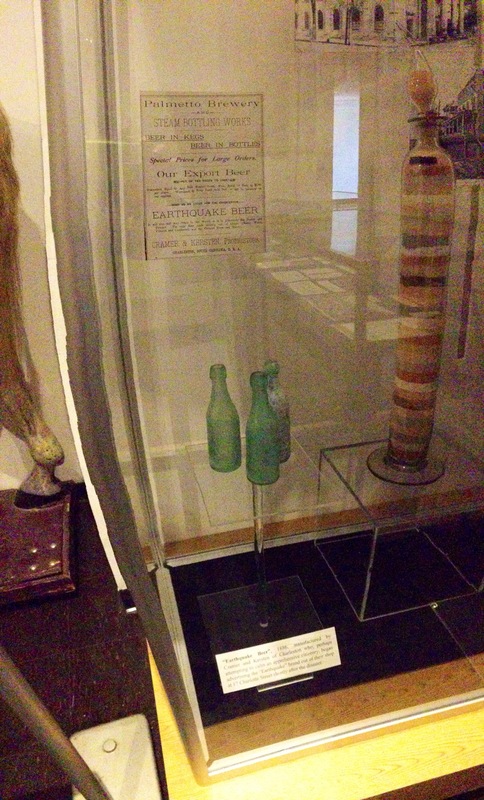 The museum even has a small portion devoted to Prohibition and features a piece of Palmetto Brewery’s history. The drive to Columbia loomed over me. After stopping briefly at Total Wine for a River Rat Brewery tasting, it was time to follow up on a promise to Joey Siconolfi to visit Frothy Beard Brewing Company in North Charleston. Joey was one of the many Brewery 85 fans who spied my shirt at Kudu and sang praises of Will McCameron’s brews. 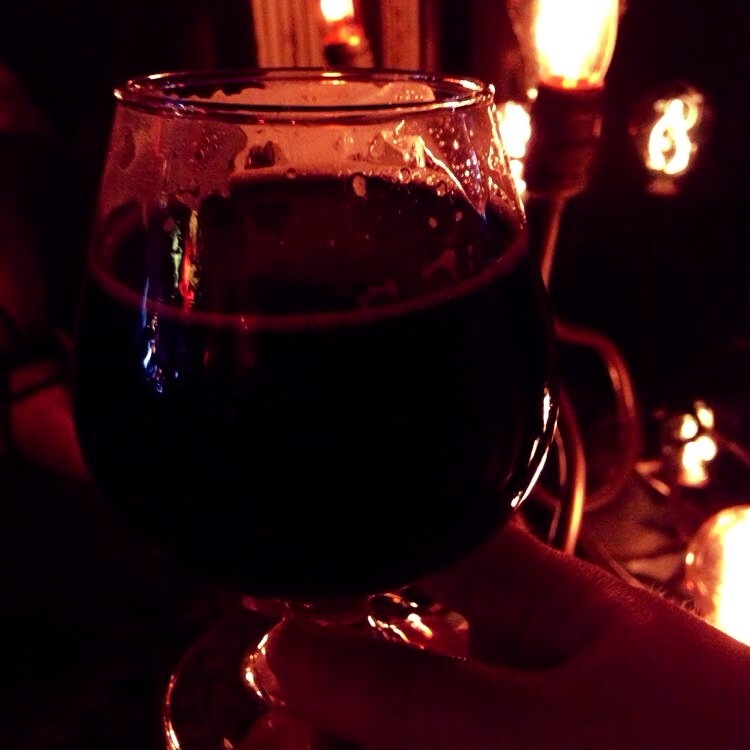 The small, hot brewing space was filled with the hum of rain and the clink of taster glasses when I stepped inside. The friendly Charlotte couple before me invited me to their table, where we talked about beer and the delicious selection of beers from the nanobrewery’s 1.5-barrel system. I’m amazed that this tiny system churned out the well-balanced Hoppy Baby, the chocolately and malty goodness of the Maltese Falcon Brown, the uber-refreshing and not too sweet Watermelon Wheat and the marvelous Bearded Brut (made with champagne yeast). Though I would have liked more daytime events to balance my itinerary, Charleston Beer Week still proved an excellent opportunity to visit the cost and explore the historic city’s impressive beer culture. *I distinctly remember a promise of free beer for life if I published this humorous paragraph. You two remember too, right? =) You’re always welcome in Greenville if you get sacked! On a hot, sunny Sunday in August, Columbia unleashed its third brewery. 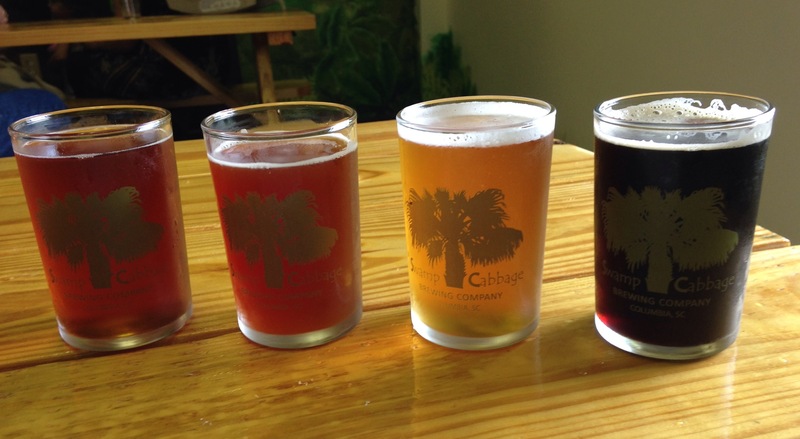 Practically neighboring Conquest and River Rat, Swamp Cabbage Brewery boasts a convenient Williams-Brice Stadium locale—and good beer to boot. After anticipating the brewery’s opening for nearly a year, I was delighted to finally take on a wristband and step into the warm sanctuary of the taproom area. Though the day’s ecstatic crowd made the space feel cramped, I’m sure it’s a pleasure on a calmer weeknight. Standing in line gave me plenty of time to observe the extensive theming: a partial shack facade encases the taps and register, all nestled into a hand-painted mural of lowcountry swamps. Talk about embracing the swamp feel! With satisfied taste buds I headed out to explore the remaining space. The exterior boasts a large patio space, which was dotted with tents and food carts. Not even the terrible music of the hour could spoil the excitement of the crowd. Naturally, I stopped for a bite at the Wurst Wagon before ordering an ESB pint and ducking out of the sun into the brewhouse. More eager drinkers crowded each nook and cranny surrounding the 20 BBL system, and unfortunately, no tours were being offered to give an insight into the brewery. Though my visit wasn’t as immersive and informative as I would have liked, I look forward to returning after football season to learn more about the newest brewers on the block. If you’re interested in seeing Swamp Cabbage, be sure to check out this Living Social deal for a tour, flight and glasses. Of course, I couldn’t come all this way without popping into the other two brewers literally around the corner. I joined the River Rats and Brewsky Brothers for drinks at Conquest, where we had the pleasure of chatting with brewer Joseph Ackerman, before popping over to the Rat Cave for a few more pints. Both breweries have done a spectacular job maintaining quality flagship beers whilst releasing equally delicious new brews. Plus, both are now bottling, making their beers even more accessible to beer rovers. Don’t miss this trio next time you’re in ColaTown!